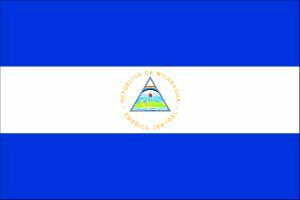 Our ministry in Nicaragua started in 1994 primarily in Managua. Andrew Wommack prophesied that we would meet a man that would open up all of Central America to us. That happened in 1994, when we met Daniel Ortega Reyes, which is now our main Pastor that oversees our entire ministry in Nicaragua. We have worked in every country in Central America but we felt God wanted us to focus primarily in Nicaragua to “Rebuild the Walls” of the nation that had been destroyed by the great earthquake in the 70’s and then communism in the 80’s. We have been blessed to build 3 christian schools in Managua, Las Maderas and Ometepe. Our children attend school free because of our sponsorship program. These children are educated, fed a hot meal and taught about the Love of Jesus everyday at our school. We sponsor another school in Managua called “Karen Jolley School”. This name was given by the directors of the school in honor of Karen Jolley and Ambassadors to the Nations. We also have 3 churches, a feeding program and prison ministry in Nicaragua.